This month I am covering the artistic endeavors of the DJ and the Record Collector. I am offering up insight into the world of the artist, giving reference to allow a better understanding to the obsession and passion of those who DJ and collect records. This conversation would not be complete without a solid head nod to the Hip-Hop DJ. I want to recognize and highlight the generation of artists who began sampling records to make loops, playing with the physical manipulation of the turning record creating new sounds. Let's take a moment to appreciate the artists who created the movement that has touched every part of the world. The film Scratch, directed by Doug Pray (2001) offers a unique and intimate look into the evolution of the DJ movement, focusing on the Hip-Hop DJ. It is one of the most solid films I have seen on the subject of the DJ as the artist, covering a wide variety of styles, locations, and techniques. This film really digs into the motivations and passion of the artists involved. Watch the entire film on youtube! Can being an addict be a good thing? This month I am talking about the art of the DJ and Record Collector. Highlighting material I feel coincides with this obsession, this passion to dig for records. To play obscure over mainstream. Awhile back, I came across this book Vinyl Junkies: Adventures in Record Collecting by Brett Milano. I wanted to share it because i feel like it is a very intimate glimpse into the world of the Record Collector. DJ INTI lives in Oakland, CA. He collects records, digs for records, plays records and loves obscure music. He lives a life of music. DJ INTI has unique and incredible taste in music. When it comes to the mix-tape, he always comes legit, bringing well thought out, thematic, rare and intelligent composition within the mix. I wanted to highlight DJ INTI as an artist because his type seems to be disappearing. The lover of the hunt for the rare groove, the DJ who straps a crate of vinyl to his bike to ride across Oakland and play to a small bar full of folks who may have no idea the thought behind the musical set they are yelling over. And he continues, he does not falter or 'sell out'. He learns to adapt and incorporate the new technologies where necessary, but he seems to prefer an old disco record to a club banger any day. I felt very strongly this is an Art worth recognizing and understanding. And I want to introduce you all to this fascinating artist. It may be because of the dying art of DJ'ing with vinyl, or the lack of interest i see the younger generation has in digging for new music with the physical hand, choosing to like it because it genuinely moves them as an individual, instead of whats popular. Or it could be the 'download your DJ set and play it from your iphone' future, the auto sync, the 'everyone is a DJ' phenomenon... These could be some of the reasons i felt compelled to dig into the mind and lifestyle of DJ INTI. To find out another way of living with music. And I do feel that folks are beginning to want another way, beginning to see again the beauty in artists like DJ INTI. Perhaps more and more people will fall in love with the thought behind the music that a DJ puts forth. People will remember to consider the time period, the struggle, the good times and the history in a song. People will begin to admire the DJ's journey to un-earth an amazing musical gem, found at a swap meet or in the back of a dusty basement, cleaned up, and carried across town because the DJ was so excited to share this 5 minute glimpse into a feeling, or a time and place, with you and me. It's remembering that music is shared for the love of it all. And i feel like DJ INTI maintains this pure form of art within DJ'ing and collecting records. I look forward to sharing the interview with you all on Feb. 21, 2014. Even the biggest record collections have to start somewhere. This month the artist focus is on the DJ and the Record Collector. Although I am not a fan of corporate holidays, I am a fan of celebrating love, and Valentines Day offers that opportunity to share the love for whatever or whomever you are sweet on. 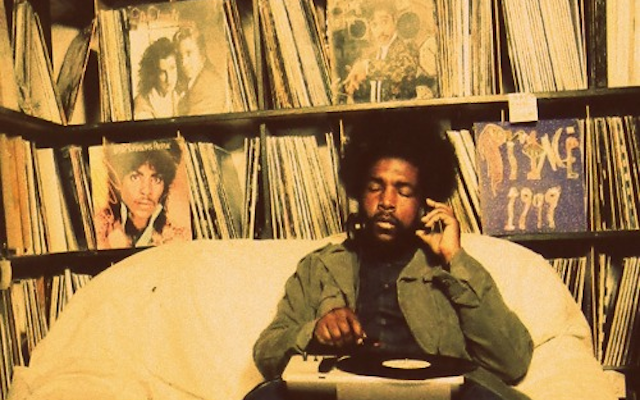 This being the case, I thought it would be fitting to highlight one of my all time favorite record nerds, Questlove. 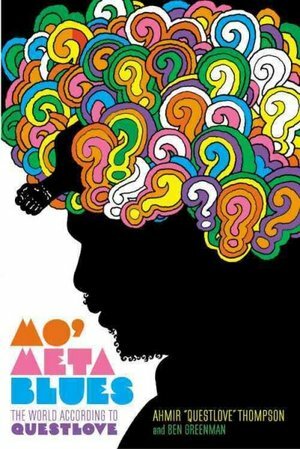 The Vinyl Factory put up a solid article introducing Questlove's autobiography, Mo' Meta Blues, highlighting his life as a collector. This book is an incredible insight into the world of the Artist.